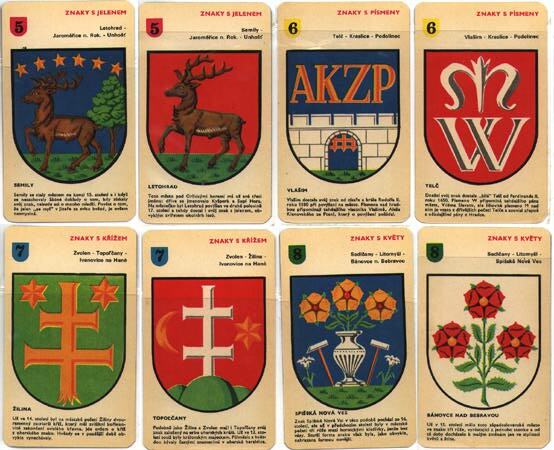 I am heraldist and interesting for me is the page" Czech Cards - znaky mest" (that means civic coats of arms; CSSR means Czechoslovak socialist republic). 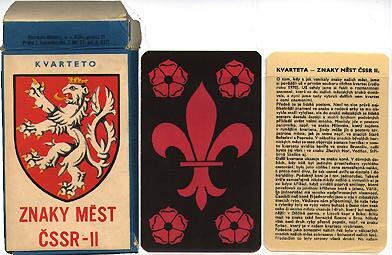 "In Czechia we have a child card game called "Kvarteto". The principle is: the players get all available cards and try to pull them down in quartets (these are only possible according to numbers at the top of cards). When player does not have any complete quartet, then he sends one card to the neighbour. You can do only one step (pull down the quartet or send one card). The winner is the first who doesnt have any card more. "The game is simple, and one of the purposes is the educational one, for that reason, the "kvarteto" was always with various topics illustrated, e.g. butterflies, beetles, knights, towns, castles, and many others. 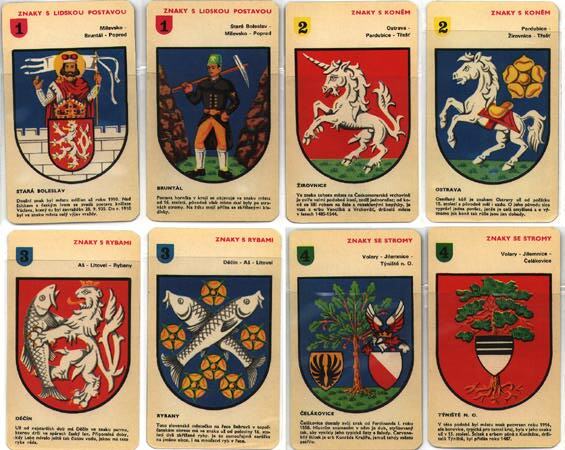 "The coat of arms series was published by Jiri Louda, who is very famous heraldic artist (not only in Czechia, but in Europe too); he published probably three similar sets."